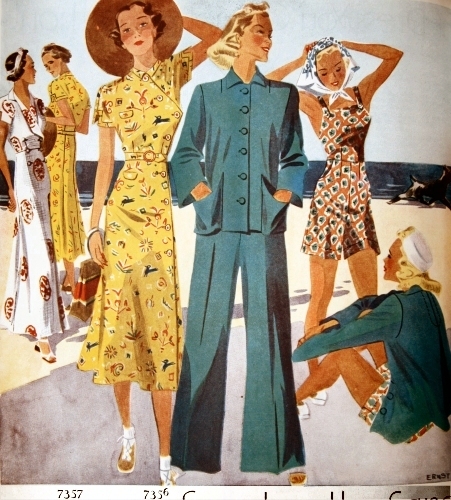 Companion-Butterick pattern 7459 for three jackets; Woman’s Home Companion, July 1937. “It is literally true that you can’t have too many jackets. 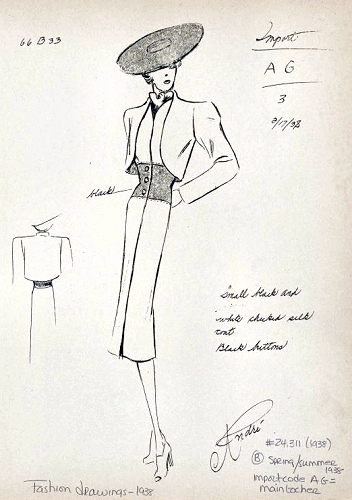 Marjorie Howard reports that many of Schiaparelli’s clients are ordering just one evening gown and from three to six different jackets to wear over it. A young friend of mine who has spent most of her life in Paris and who knows fashions as well as the alphabet is going about these days in a simple black crepe dress varied by a series of different colored jackets. In Palm Beach last February jackets were extremely popular. All of which adds up to this: one spectator sports dress, one general daytime dress and one evening dress plus several jackets each, practically give you a summer wardrobe. And that’s a cheering fact, whether you consider it from the economical or dressmaking angle.” — Ethel Holland Little, Women’s Home Companion, July 1937. Although it’s not referred to as a “Triad pattern,” the buyer got three different jacket patterns in Companion-Butterick No. 7459. Companion-Butterick 7459 for a wool flannel jacket. July 1937. Companion-Butterick 7459 pattern for a taffeta evening jacket. July 1937. 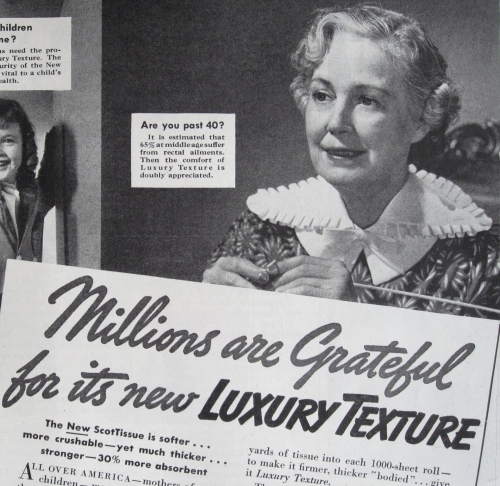 The jacket fashion that appeared repeatedly in 1937, however, was the bolero — a term which now meant a jacket that ended above the waist. Companion-Butterick 7459 pattern for a bolero jacket. July 1937. Schiaparelli bolero jacket, early 1930’s. Metropolitan Museum Collection. Beaded bolero jacket and evening gown, Elsa Schiaparelli, 1940. Collection of the Metropolitan Museum. Mainbocher showed this bolero-topped suit in 1938. An evening bolero and gown by Lucile Paray, illustrated in Woman’s Home Companion, December 1937, p. 100. Companion-Butterick pattern No. 7296 shows a low-backed summer dress with matching bolero jacket. 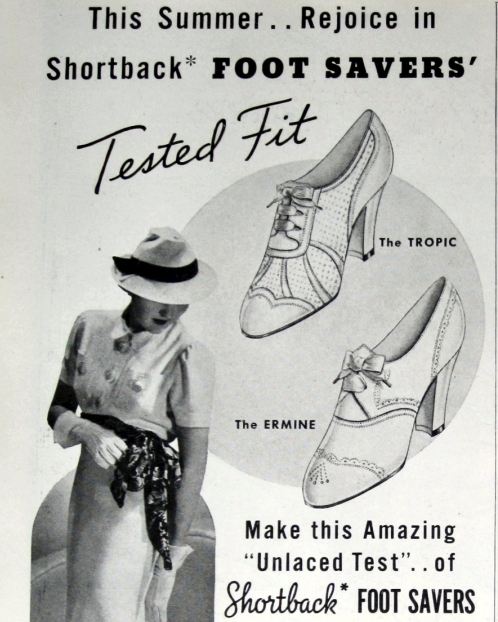 Woman’s Home Companion, April 1937. 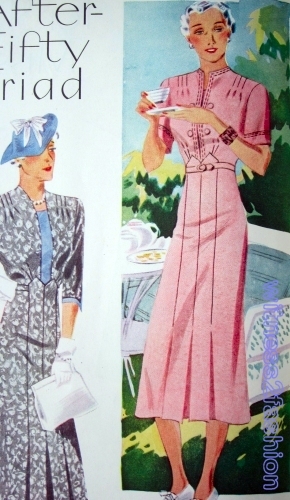 Companion-Butterick patterns 7307 and 7303; Woman’s Home Companion, April 1937. Bolero jacket on the right. 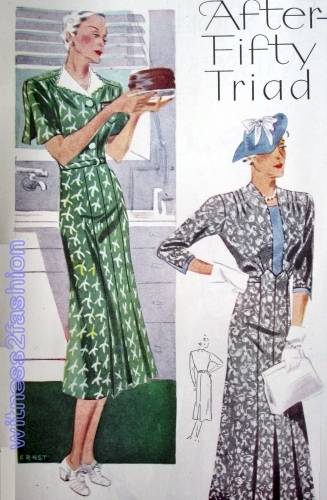 Companion-Butterick pattern 7359, Woman’s Home Companion, May 1937. Companion-Butterick pattern 7359 bolero dress variation. 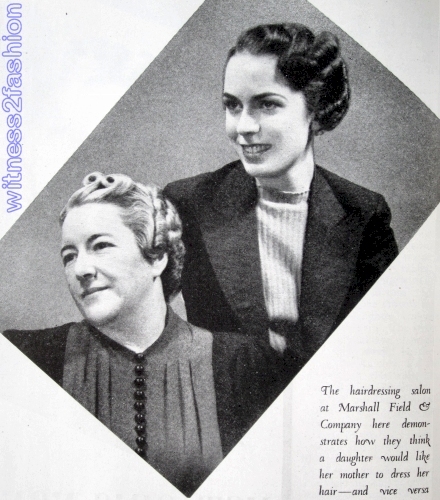 Companion-Butterick pattern 7359, WHC, May 1937. Companion-Butterick pattern 7504 would make casual summer sports clothes or an evening gown. June 1937. All versions included a bolero jacket. 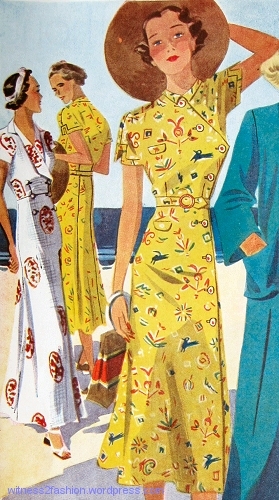 For older readers, a bolero was combined with a halter-top evening dress, especially suitable for cruises and summer resorts. This pattern was available up to Bust measure 44 inches. Companion-Butterick pattern 7407, for a bolero and halter-top dress. 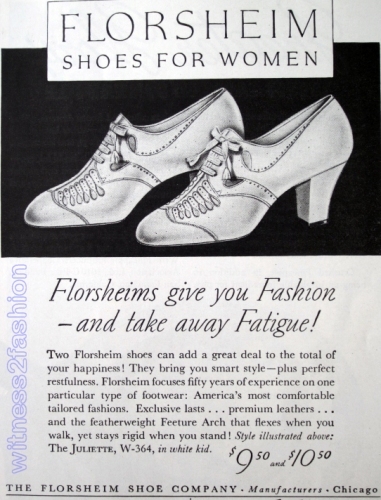 Woman’s Home Companion, June 1937. The combination of evening dress and jacket was also called a dinner suit. A bolero evening jacket, if made in fine linen or silk shantung instead of taffeta, could also be worn with day dresses. Again, the bolero in different colors gives variety to a limited vacation wardrobe — and only takes one and a half yards of fabric. Bolero tops were recommended for flattering the woman with wide hips. 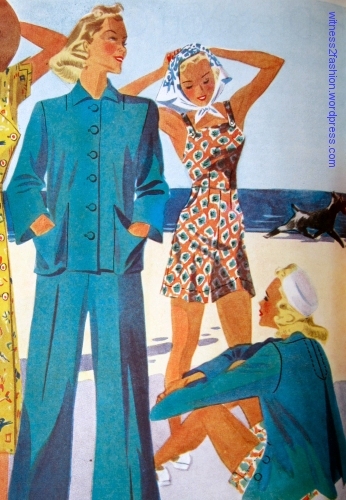 The text applies to the blue outfit at right, Companion-Butterick pattern 7303 from 1937. It might be fun to try to copy this vintage evening bolero, which has two layers of stiff organdy, each layer made of two layers of fabric treated as one and bound with a bias strip. This garment was badly in need of washing — it was originally white. You can see the deep armhole, which makes it a bolero, rather than a little cape. A vintage thirties’ bolero made using two double layers of organdy. Two layers of organdy were seamed at the right angle of the lapels, turned, and pressed, instead of being bound. There was no center back seam. 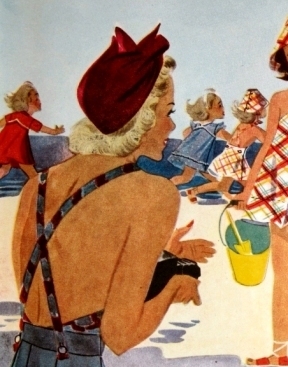 “Smart on the Sand at Any Age,” Woman’s Home Companion, May 1937. 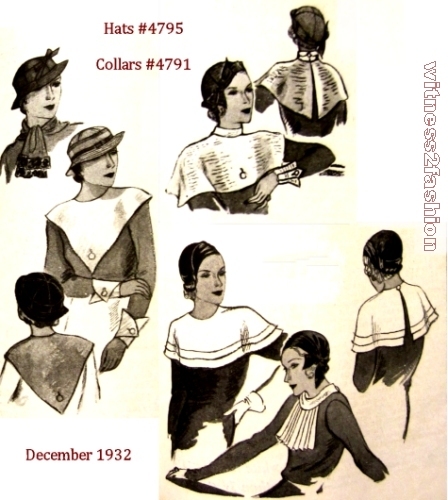 In a two-page spread, the Woman’s Home Companion suggested these Companion-Butterick patterns for the summer of 1937. The second page showed the back view of #7356 and three versions of this little girl’s dress, # 7358. 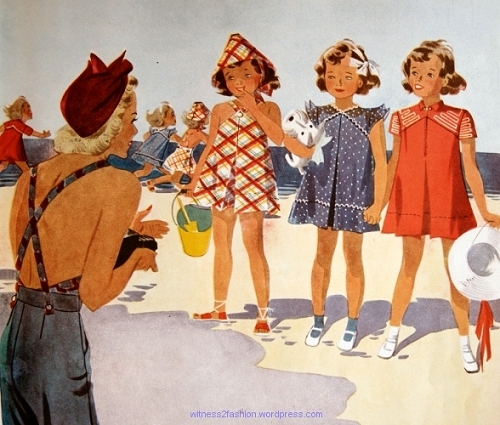 “Smart on the Sand at Any Age,” WHC, may 1937. 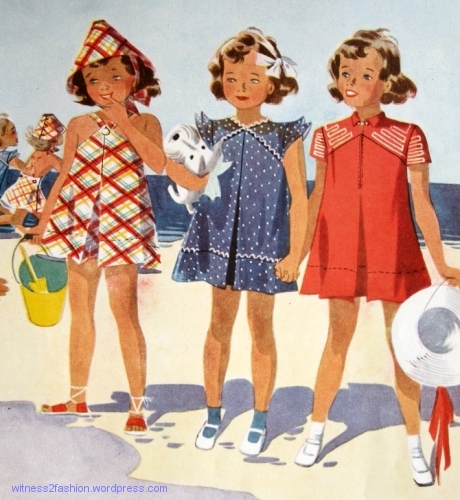 Companion-Butterick pattern for girls, No. 7358. 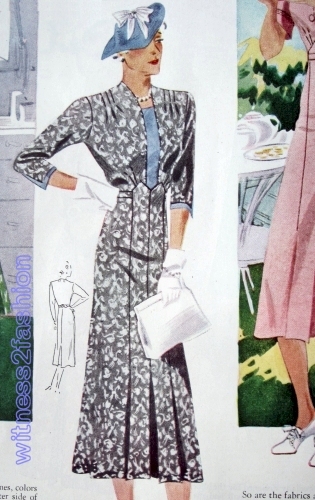 Companion-Butterick pattern #7357: Dress or coat. May 1937. 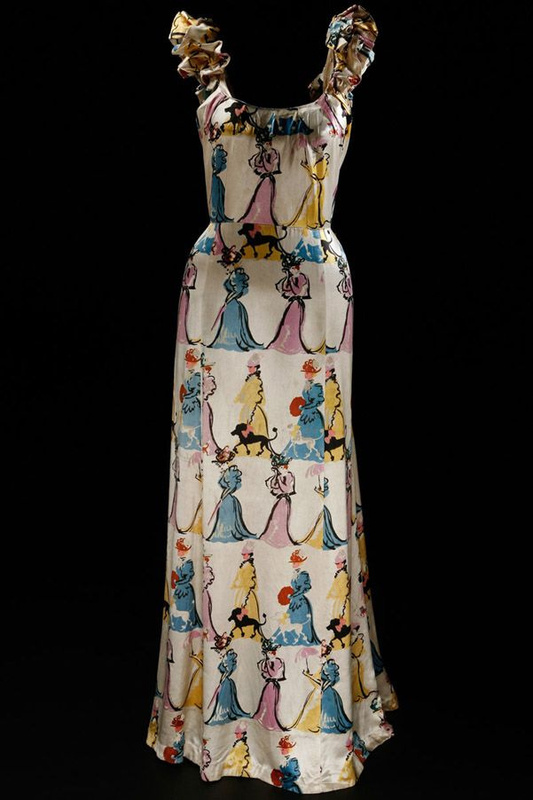 “Huge” prints on fabrics show the influence of Schiaparelli. The side-wrap dress — which seems awfully ‘nice’ to wear over a wet swimsuit — has a cheongsam-inspired closing and a sleeve detail reminiscent of some Chinese decorations. The long double-breasted coat is also shown printed with medallions. Companion-Butterick pattern #7356; Halter top, shorts, trousers and jacket. May 1937. Companion-Butterick pattern 7356, back view. 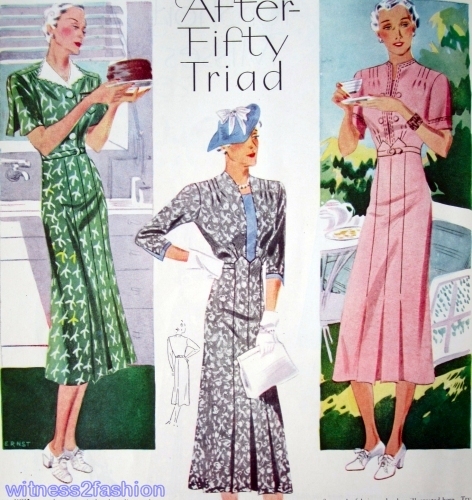 Companion-Butterick pattern 7358; a Triad pattern (three dresses from one pattern.) WHC, May 1937. The text writer may have confused the trims; the rickrack is shown on the dotted dress. Here are the back views, in the background. Back views of girls dresses #7358. 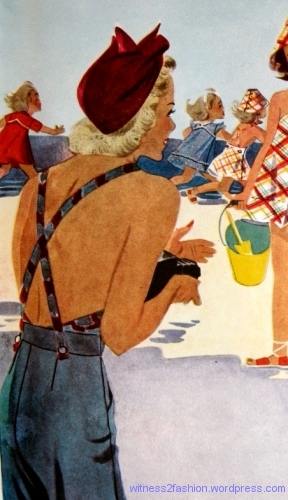 The lively illustrations are by Ernst.